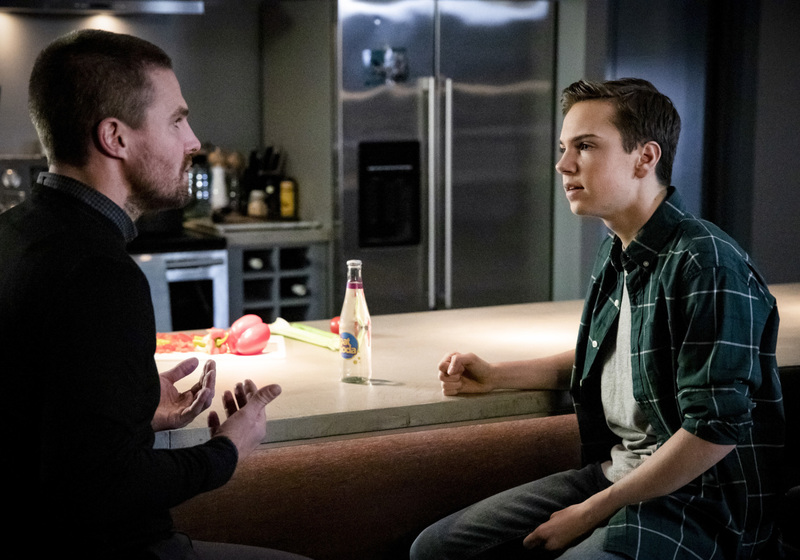 Oliver (Stephen Amell) and Felicity (Emily Bett Rickards) are disappointed after they learn that William (guest star Jack Moore) is hiding something from them. Wanting to focus on his family, Oliver steps back from his Green Arrow duties and let’s the team take over tracking down a serial killer. However, when the team becomes targets for the killer, things take a bloody turn. Gregory Smith directed the episode written by Beth Schwartz & Jill Blankenship. Air Date: Monday, February 11 (8:00-9:00 p.m.) on the CW.